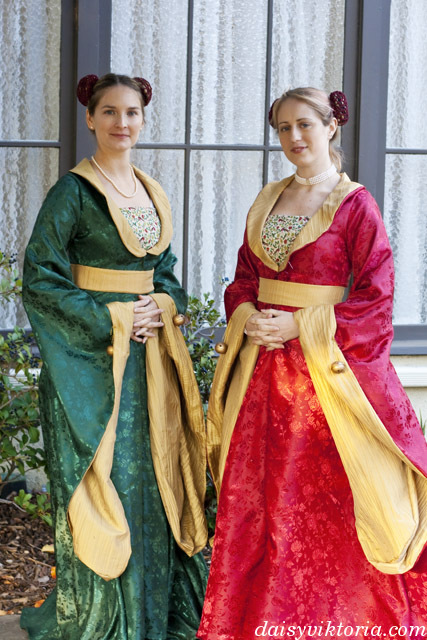 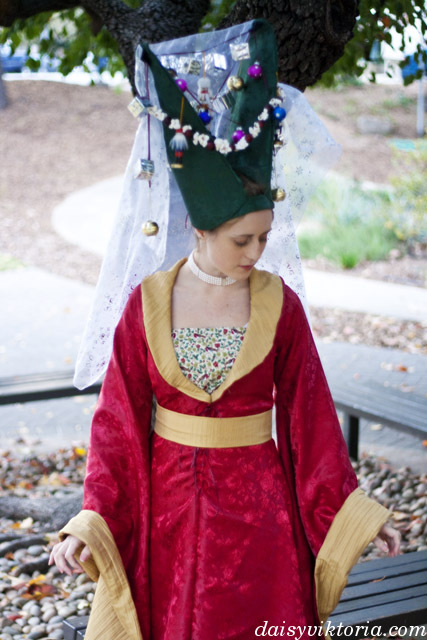 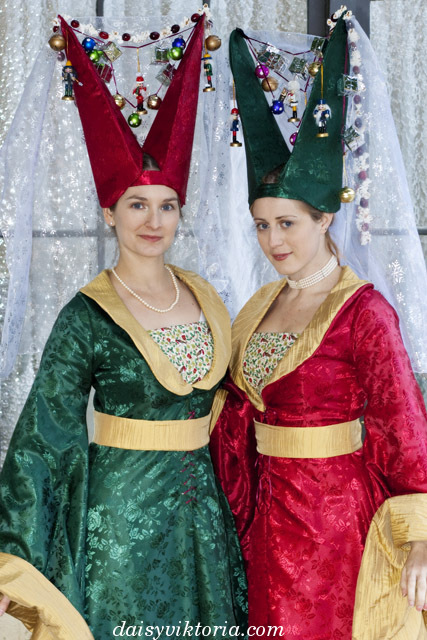 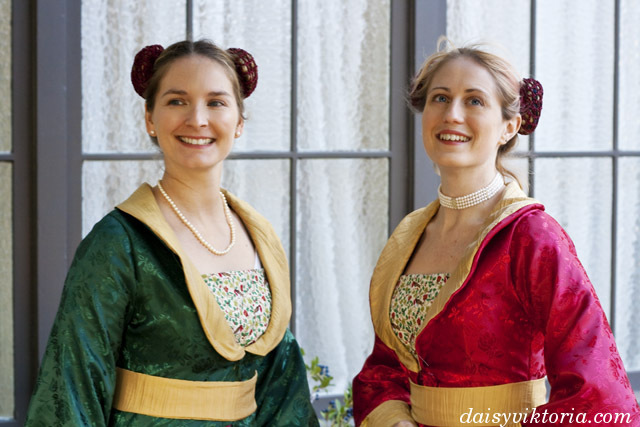 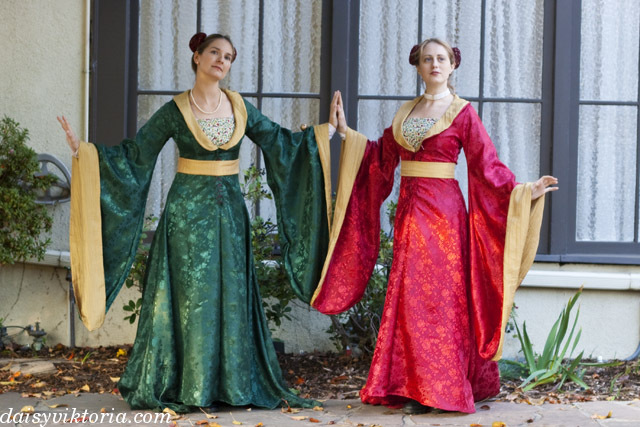 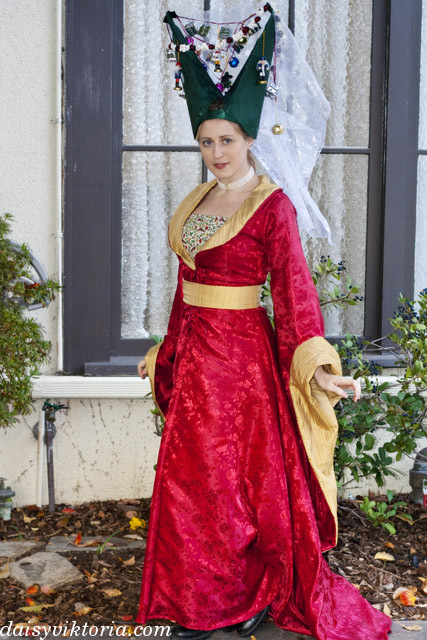 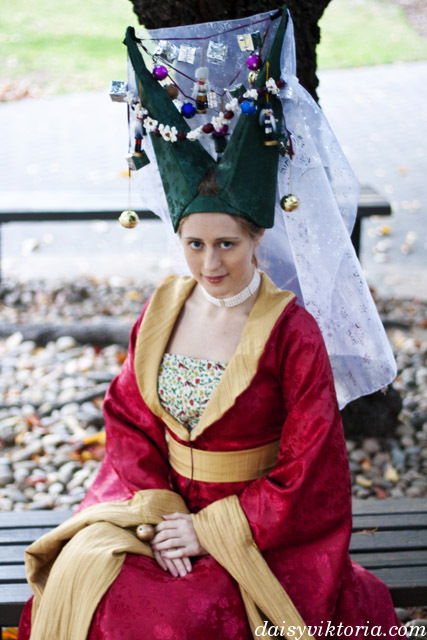 My friend and I made these 15th century outfits for Yule. 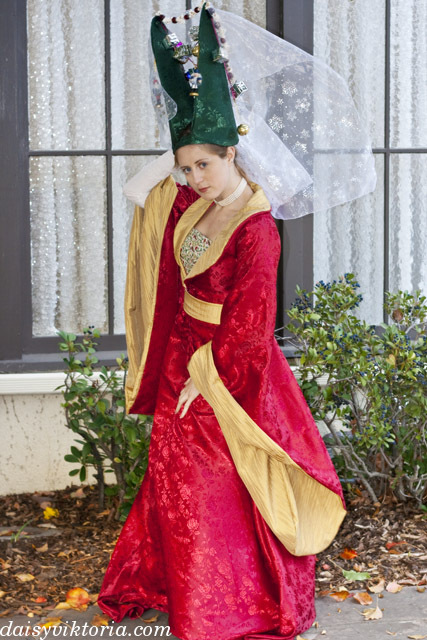 Our dresses are made of brocade and faux silk, and I made our hats are made in contrasting colors. 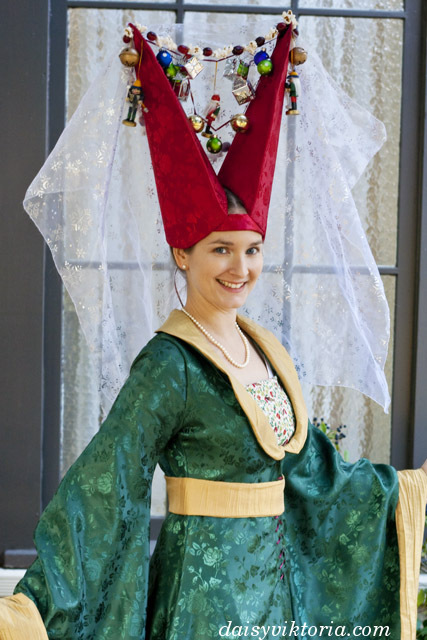 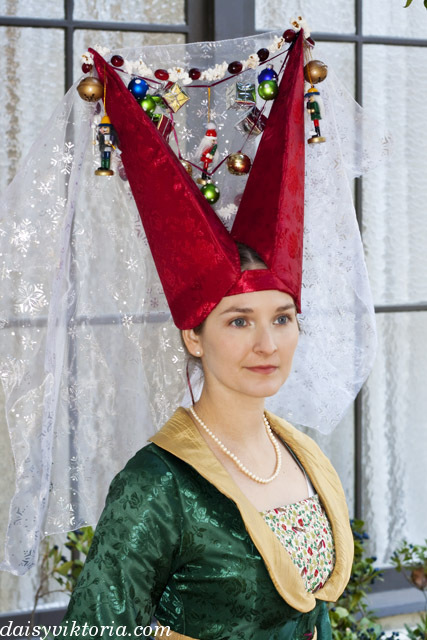 Just for Yule feast, we decorated our hats with all sorts of festive ornaments and popcorn and cranberry garlands, as well as snowflake print veils.